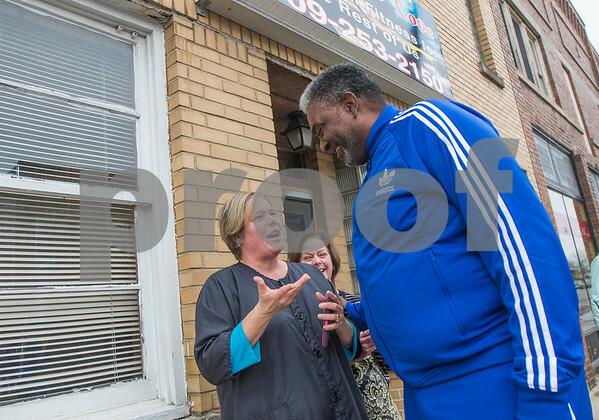 Hinckley resident Jodi Smith talks with Harlem Globetrotters coach and former player "Sweet Lou" Dunbar outside of the Hinckley Historical Museum on Thursday, Jan. 7, 2016. Smith's father, Earl DeWerff, played against the Harlem Globetrotters when they came to town in 1966. The team is celebrating their 90th anniversary tour the game in Hinckley where the team's first road game was played on Jan. 7, 1927.